And that’s okay. The average worker has 10 to 15 job changes throughout their career. Career changes can be out of necessity, i.e., you were laid off or hit a glass ceiling. Sometimes they may be for personal reasons, i.e., career satisfaction, happiness, or better work-life balance. Wherever you find yourself in your career’s progression, don’t fear career changes. In fact, they can be beneficial both personally and financially. But wanting to change careers and making a career change are two entirely different things. As you contemplate making a career change, you’ll likely wonder how you can get from Point A to Point B or what career actually makes sense for you in the present. The good news is that you can help yourself find (and land) your next dream job with one simple technique: Informational interviews. An informational interview is a very informal conversation you have with someone who works in a field or industry that interests you. Let’s say you’re currently working as a teacher, but you always wanted to get into advertising. You could set up an informational interview with someone who currently holds a marketing position at an advertising company you admire. Essentially, your informational interview helps you answer all of the questions you have about a particular job or industry that interests you but in which you have no current work experience. 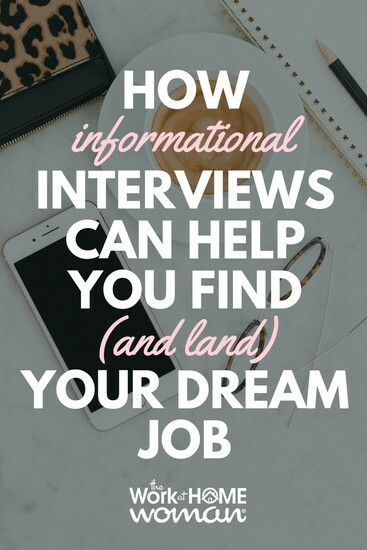 As a bonus, the person you hold your informational interview with often becomes a valuable connection in your network as you work to go from one career to the next. Now that you know how important informational interviews are when contemplating a career change, you’re probably wondering how to conduct a successful one. While there’s no blueprint you should follow – since all informational interviews are different – there are some things you should keep in mind. An informational interview is not a job interview. In other words, don’t treat this as if you’re trying out for an open position at a company (you’re not). Instead, your primary purpose is to gain as much industry insight and information as possible. Ask thoughtful questions. Take notes. Pay attention. Again, this interview is not about you. Make sure you respect the person’s time you’re interviewing by preparing questions in advance. You’ll want to gain as much industry knowledge as possible in a short amount of time. Remember, the knowledge you take away from this interview will help guide you to your dream job! At the end of the interview, be gracious and thank the person who sat down with you. Although you should only have taken up about 15-30 minutes of their time, you’ve likely gained a wealth of knowledge. Before parting ways, let them know you appreciate their responses. Don’t be afraid to ask for referrals. If their answers further piqued your interest in a potential career change, ask them if they can recommend anyone else you might be able to speak to for more information. Having a referral in hand makes it much easier to approach the next person and helps to expand your network — win, win. So, you’ve conducted your informational interview. Now what? Good question! When done right, you’ll have a much better picture of the industry and job that interests you. How you proceed largely depends on what you learned and how you feel about a potential career path. If everything you learned during your informational interview sounds promising, congratulations, you’re making progress towards your dream job. Now, you should do further industry research. A career change is not something you should enter into lightly. A little research can go a long way in helping you map out the perfect career pivot. When you’re feeling confident about your choice of career change, start targeting companies which whom you want to work. Remember, some 80% of job openings are never advertised. Instead, networks and referrals make up the bulk of job fills. Your informational interviews give you a head start into an industry and potential company where you want to work. Instead of waiting for a job opening to become public knowledge, you’ve presented yourself as a perfect fit for the company by making industry and company connections in advance. If you love the idea of working in an industry but lack the skills needed to be successful, that’s okay. Your informational interview will help shed light on what must-have knowledge you need to get your foot in the door. If you have it, great! If not, don’t panic. You can typically learn what you need to know quickly online. There are a number of free and reasonably-priced online courses that can help you sharpen existing skills or learn new knowledge as a career changer. Not so satisfied with the information you learned in an informational interview? That’s okay too. The whole point of an informational interview is to learn more about an industry, company, or job that you find interesting. You want to learn the pros and cons of a potential career change before entering into it. When you find out a ‘dream job’ isn’t the right fit for you, think of it as a breakthrough. While you might not be closer to moving to the career path you wanted, you’ve saved yourself from entering into a career or job title that doesn’t make sense for you. You are more than your job title. You are a person with unique skills, interests, and ambitions. Even if you have to rebrand yourself to get there, career changes are possible whether you’re just starting out, nearing retirement, or somewhere in between. With social media making it easier than ever to make real-world connections, it’s never been easier to approach someone for an informational interview. Doing so can be the first important step you need to take to finally go after your dream job. Ashlee Anderson is a freelance writer, blogger and gig economy enthusiast who enjoys the freedom and flexibility of working remotely. After starting a note-taking business in college, she’s continued to work for herself as a solopreneur ever since. Today, Ashlee continues to embrace solopreneurship and the endless possibilities to make money as an independent worker. She encourages others to ‘think outside the cubicle’ so they too can find happiness in working on their own terms. 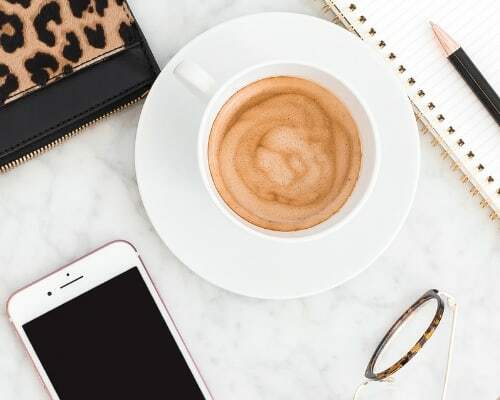 Follow along with Ashlee over at Work from Home Happiness where she shares plenty of practical advice, ideas, and beginner-friendly ways for freelancers, solopreneurs, and remote workers to use their existing skills and experience to earn a living from home. I follow both of you, so I was so excited to read this post. This is a brilliant idea for people looking for a career change. I did not think of this, but I did change my career (lawyer to freelance writer and now a blogger) after talking to a few people in this space. It always helps in knowing the challenges, skill set, type of work etc. There are some brilliant tips in this post. Glad you enjoyed Ashlee’s post, Chhavi! Informational interviews can be great if you’re thinking about going back to school too. Do you know Natalie Bacon? She too is a retired attorney turned blogger.